School of Fish: Fun with science! On Friday my Algebra 2 class was learning about inverse and joint variations. Most of the examples were from Physics so I declared it "fun with Physics on Friday morning!" But I don't have any interesting photos of us working together to solve equations. In the previous couple of weeks though, I was able to get some photos of our students having fun with science. We recently had the opportunity to see a partial solar eclipse. One blessing of having a roof with some holes above the science room is that it provides a great place to view a solar eclipse! 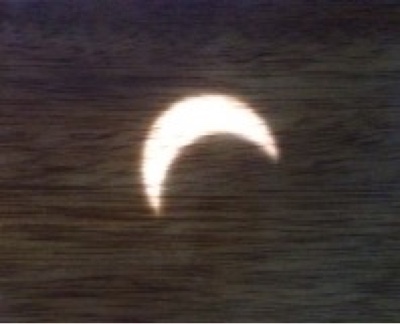 Here is a photo of how we could view the eclipse on the table. David called the other classes into his room so we could all view this partial eclipse. 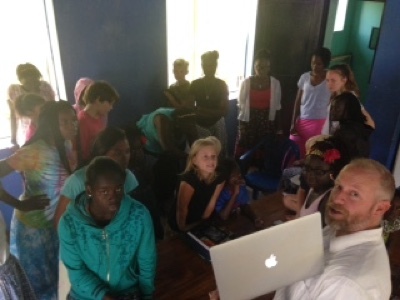 He then showed the students a computer animation of an eclipse and explained how it occurs. One of our students had eclipse glasses from the last time we viewed an eclipse, and he brought them to school for the students to all take turns using. 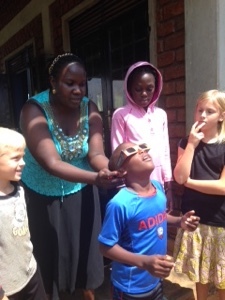 Here is Miss Vicky helping Bobby view the eclipse. The elementary students have been talking about predators and prey recently. 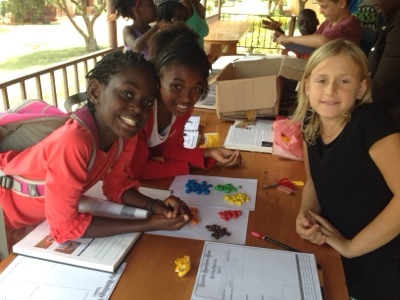 They did an activity where they got the be M&M predators. Here are the 5th grade girl M&M predators. They look ready to eat their prey. 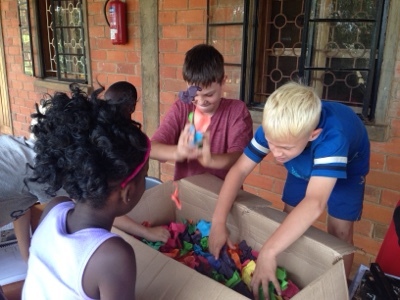 After sorting the candies, they put them into a camouflage habitat with many pieces of colored construction paper. 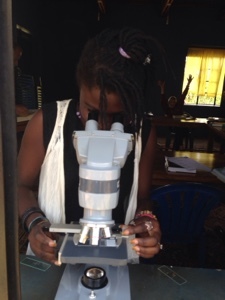 Our high school Biology class has recently had opportunities to use the microscope to view various types of cells. Not quite as exciting as hunting for M&Ms but it is a fascinating learning opportunity. We are grateful that our small school can provide fun learning opportunities for our students. They are a great group of kids and we are blessed to be working with them! It is our prayer that as they learn more about the world, they will be able to better appreciate and worship the Creator and Sustainer of the universe.